Taiwan is only two hours away via plane from the Philippines. And, just recently, Filipinos can travel to Taiwan without the need to apply for a travel visa, provided that the stay will not be more than 14 days. This is only temporary but can be extended or be permanent once it becomes a success. 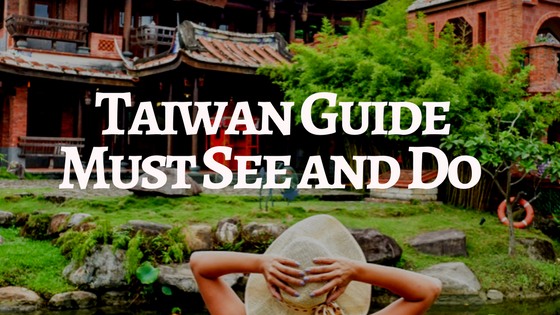 Aside from the reason of the visa-free entry, there are other plenty of reasons to visit Taiwan. Taipei Night Markets are good places to start to understand their local cuisines, culture, and history. They also boast good architectural designs which you can notice from Taipei 101, up to their Temples. It is also home to many industrial plants which have not been demolished but are still used as multi-purpose creative parks. 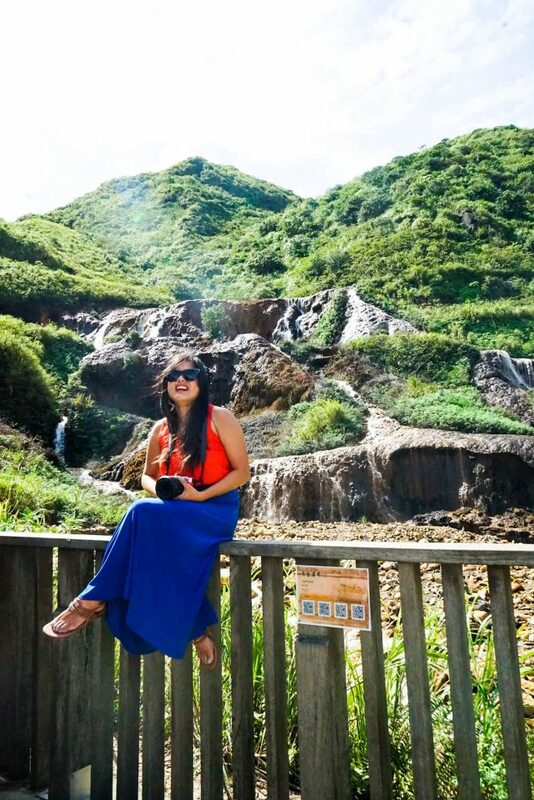 In Northeast area, particularly in Jinguashi and Jiufen, their main mining industry plants may have been closed but were replaced with interesting tourist attractions like the Golden Waterfalls and the Yin-Yang sea. While the southern area of Taiwan is similar to the Philippines which is within the tropical zone, Taiwan’s northern area is within the subtropical zone. During late March until early May, Taiwan generally has hot and humid weather but may experience rain showers in the afternoon. Its typhoon season starts from late June until early October. The mild winter season in Taiwan is usually their low peak season. 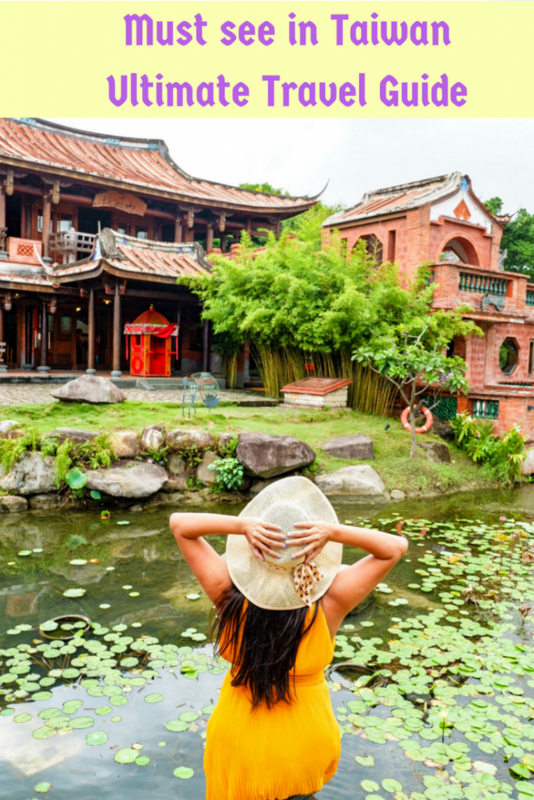 During this season, you can easily find great discounts on your Taiwan tour expenses which includes hotel accommodation expenses and entrance fees to different tourist attractions. But, these may not cover weekends and during Chinese New Year, usually celebrated by the end of January or early February, since huge number of tourists are still expected. Located in the west corner of Ximending, you can find the Meander Hostel which offers a dormitory type room for around NT$ 600 (P 1,007.42) and a private room for a more or less NT$ 2,380 (P 3,996.09). Aside from comfortable lodging, the Meander Hostel has a spacious communal area with kitchen, laundry room, and a playroom. They even organize activities, like walking tour and hot pot session, to which all guests are invited. For a place closer to lively Ximending pedestrian, you may book a hotel suite in Amba Ximending. Here, you can expect a high-class suites and services. It is owned by Ambassador Hotel or Amba Hotel Group, known for being a world-class hotel developer in Taiwan. 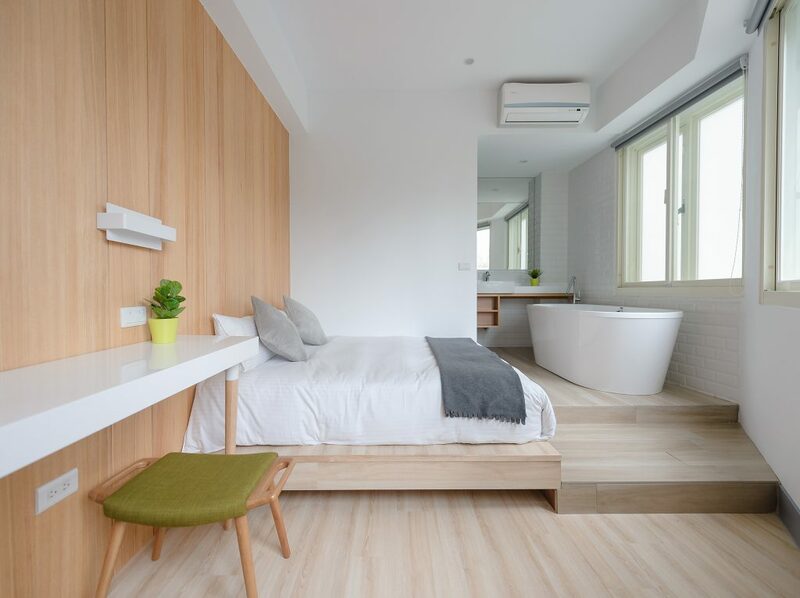 The Amba Ximending is an Amba Hotel brand which uses high technology for their facilities, creative arts for their interior designs, and environment-friendly materials for their toiletries and furnitures. Don’t forget to rent an unlimited 4G pocket wifi which you can immediately use upon your arrival in Taiwan. Kkday offers an unlimited 4G pocket wifi for around P 134 per day. At least two days in advance, you may make a reservation for the pocket wifi. You can then claim it on Taoyuan Airport, Songshan Airport or Kaohsiung Airport upon your arrival. In my experience, I claimed my reserved pocket wifi at Taoyuan Airport. To claim, you’ll only need to give your voucher number and credit card. A temporary authorized hold will be placed on your credit card but will immediately be removed once the pocket wifi has been returned without damaged. To book your pocket wifi with Kkday, you may go to this link. If you prefer using a sim card which will allow you to access unlimited mobile internet as well as make phone calls or send text messages, then you can book Kkday unlimited 4G prepaid sim. For only at least P 502 per day, you can already have an unlimited internet data plus an additional credit to make a call or text. Learn more about their product through this link. There’s a medium-sized commercial airport located within the Taipei City which is the Taipei Songshan Airport. But, the majority of the international airlines, including those coming from Manila, Philippines, uses the largest international airport, Taiwan Taoyuan International Airport, as a base. The Taiwan Taoyuan International Airport is located in Taoyuan City, Northwest Taiwan. Chances are your Taiwan tour will start from here. From the Taoyuan International Airport, you can ride bus 1819 going to Taipei City. The final drop off point of bus 1819 is Taipei Main Station. Expected travel time via bus is at least 55 minutes.The bus fare can cost approximately NT$ 125 (P 210.31). The buses parked in Taoyuan International Airport going to Taipei are available 24 hours a day. For only around 35 minutes, you can take the Mass Rail Transit (MRT) Express Services (Purple Train) at Terminal Stations 1 or 2 of Taoyuan Airport going to Taipei Main MRT Station. Your one-way ticket pass for this route may cost NT$ 160 (P 269.20). A different Taipei pass can also be bought through which you can access the MRT going to any station for unlimited use and good for the entire day, for two days or for five days. As an alternative ticket to MRT for the similar route, Taoyuan Airport going to Taipei Main MRT Station, you can buy an Easycard. This is a reloadable card that you can already use to access major MRT stations and public buses. It can also come in handy when buying items in some stores like 7-Eleven, Family Mart, Taipei 101, and Starbucks. Getting a taxi cab going to the capital city of Taiwan can be quite expensive. Taxi flag down rate in Taiwan cost around NT$ 90 (P 151.43) which is already thrice more expensive compared to the taxi flag down rate in the Philippines. So, the travelers coming from the Taoyuan International Airport experienced incurring taxi fare that costs at least NT$ 1,000 (P 1,682.51). Hiring a private car charter to pick you up at Taoyuan International Airport and take you to your hotel in Taipei City through Kkday can be a little cheaper than taking a taxi. For only around P 1362, you already got your transport service. Read more about the pick-up service by KKday through this link. I and my friend, Lara, availed of their hotel transfer services when we arrived at Taoyuan International Airport. Our travel time took 45 minutes. We got comfortable seats in the car. We were even able to take a nap. There is a money changer outside the immigration office at Taoyuan International Airport. Exchanging Philippine Peso to New Taiwan Dollar (NT$) can be a bit struggle once you leave the airport. Taiwan’s Mega Bank (Mega International Commercial Bank) exchanges Malaysian Ringgit and most overseas currencies into NT$ but not Philippine Peso. You can withdraw easily from the Automated Teller Machines (ATM). Don’t forget to call your Philippine-based bank ahead of time in order for them to grant you access to your account in overseas ATM banks. Visa and Mastercard are easy to use in stores and restaurants for sure. The hotel rates are good too, and may not even charge a service fee. In the Capital City of Taiwan, you can visit the Chiang Kai-shek Memorial Hall where you can find museums and bronze monument of Chiang Kai-shek, all to commemorate the life and crucial contributions of the late President of the Republic of China, Chiang Kai-shek. We were able to visit the Chiang Kai-shek Memorial Hall, one of the most famous landmarks in Taiwan, through My Taiwan Tour. They offer an ultimate Taipei tour which includes a tour guide and your own car service. Aside from the Chiang Kai-shek Memorial Hall, the Ultimate Taipei Tour by My Taiwan Tour covers a visit to Longshan Temple, one of the most active Temple in Taipei, a quick tour to the current Presidential Office Building, a visit to an old Chinese house, Lin An Tai Historical House, stroll around the Yangmingshan National Park, Beitou Hot Spring and National Palace Museum. To be honest, this tour is a perfect Taipei Itinerary for Taipei in 3 days or for those people who have shorter time in Taipei because it hits the places to visit in Taipei city in just one go. You also end in Shilin Night market. Read also Ultimate Taipei Day Tour with My Taiwan Tour. Also with My Taiwan Tour, we were able to visit the tallest skyscraper in Taiwan and the one of the highest environment-friendly building in the world. We didn’t get to their observatory decks which feature indoor and outdoor experience. Our alternative to observatory decks is at the Starbucks located on the 35th Floor of Taipei 101. Although menu of this Starbucks branch is similar to other Starbucks branches in the Philippines, the 35F Starbucks in Taipei 101 has a window seating from which you also see an incredibly beautiful overlooking view of Taipei. They require a one-day advance reservation. Read our article about Starbucks in Taipei 101 Tower. Ximending is one of the entertainment districts. So, it is really convenient to have our lodging place in this area. When we didn’t have tour schedule, we were able to easily stroll around and to easily do store hopping. Locals also call this district as a hangout place of teenagers or youth. So, you can notice most of the stores and restaurants are with themes and designs that are appealing to the youth. Examples of these are the Alice in Wonderland-theme restaurant, Alice is Coming and the toilet-themed restaurant, Modern Toilet. Read our article about Must Eat in Ximending. Our visit to Northeast of Taiwan, which is mainly in Jinguashi, Jiufen, and Pingxi, tells mostly about the marks left by the golden age of the mining industry. 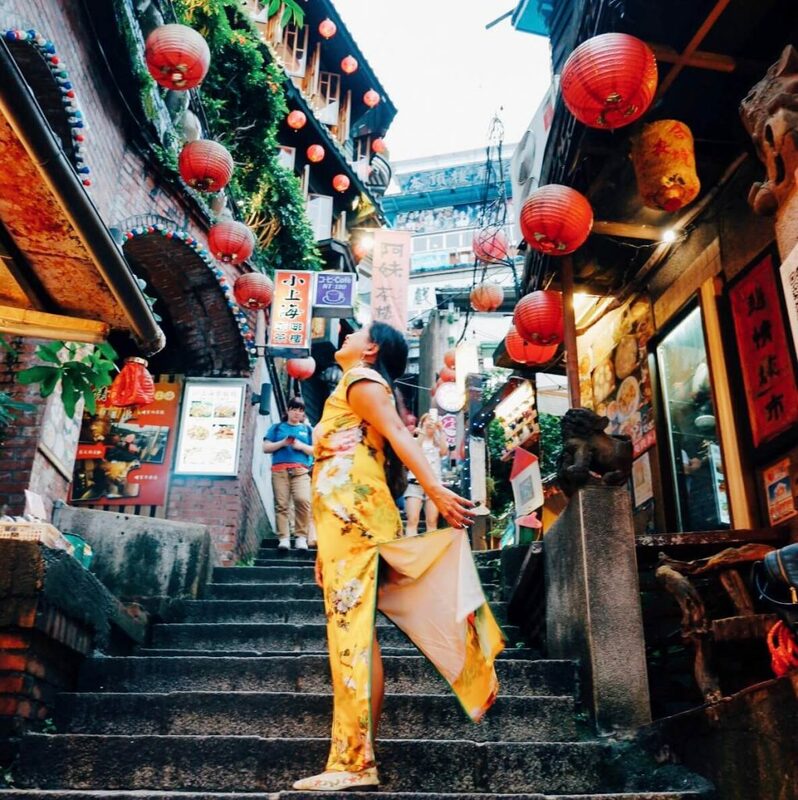 With My Taiwan Tour, we were able to visit the Ruins of the Thirteen levels or Shuinandong Smelter, Golden Waterfalls, Yin-Yang Sea, Jiufen Old Street, and Pingxi. Read also Jiufen and Pingxi Tour with My Taiwan Tour. Aside from Beitou District, Wulai District is the closest hot spring district to the capital city. We got a pass to enjoy the mineral and odorless water of Wulai through the Volando Urai Spring Spa and Resort. It is only at a walking distance to the old village of Wulai. The spa and resort provides an Instagrammable bath and hot spring facilities like the public outdoor hot spring and private bathhouse. Our reservation at Volando Urai Spring Spa and Resort was made through Kkday. The package good for two we availed includes access to the private bathtub and lunch at one of their in-house fine dining restaurants. You may read the product details of Kkday through this link. See also our whole experience in the article Volando Urai Spring Spa and Resort Review. Hualien County is another rural area in Taiwan that we were able to visit. The place is most known for a natural tourist attraction, Taroko Gorge which is marble canyon with a turquoise stream. But, it is a rock and landslide prone-area. We were supposed to visit Taroko Gorge but it was temporarily closed due to heavy rain. Our two hours travel time from Taipei going to Hualien could have been a waste. Good thing that there were other tourist attractions in Hualien. We visited Dong Da Men Night Market. It is a modern night market which is composed of Zhiqiang Night Market, Futing Night Market, streets of Aboriginal Cuisines, and Streets of China Cuisines. We also got to visit the Pine Tree Garden, which is formerly a military office of Japanese, and the Hualien Cultural and Creative Industries Park, which is an old winery turned multipurpose park. Read also What Else to See in Hualien: Alternative Trip to Taroko Gorge. Huashan 1914 Creative Park is a winery-turned-multipurpose park that houses different art exhibits. What stood out for me in this creative park are their unique in-house restaurants with different twists on their themes. You can try, among others, the Fab Cafe which is a part cafe and a part digital manufacturing service provider as well as workshop provider. Then, you can be surprised with Trio Cafe, a watering hole keeping a low-profile but provides delicate dishes. Songshan Cultural and Creative Park is also a formerly industrial plant turned creative park. The cafes and restaurants within its vicinity are also unique. 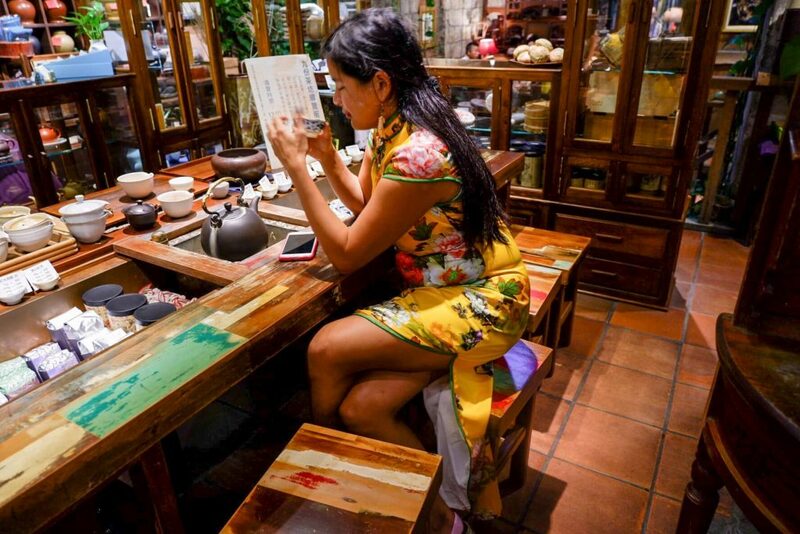 The Liuli Cafe is furnished and equipped with delicate glassware and ornaments which are made by their mother company, Liuli Gong Fang. 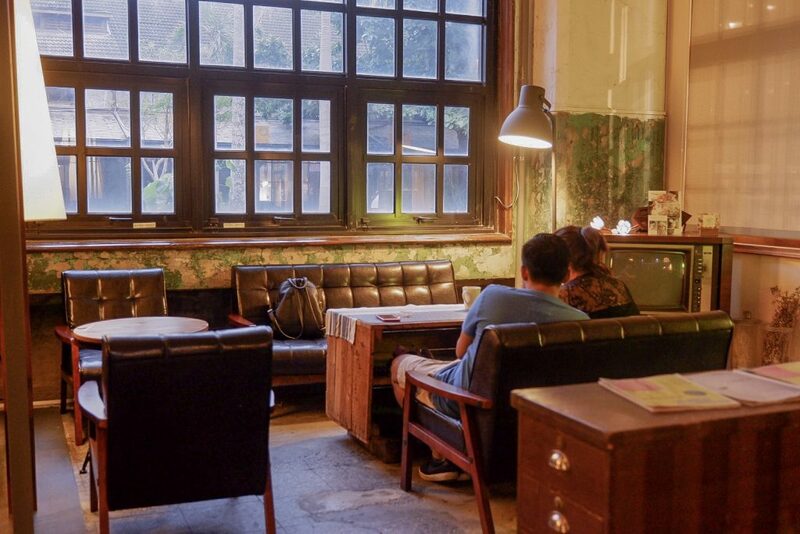 And, near the eco-pond of the creative park, the Yue Yue Bookstore serves as a cafe and at the same time a bookstore. 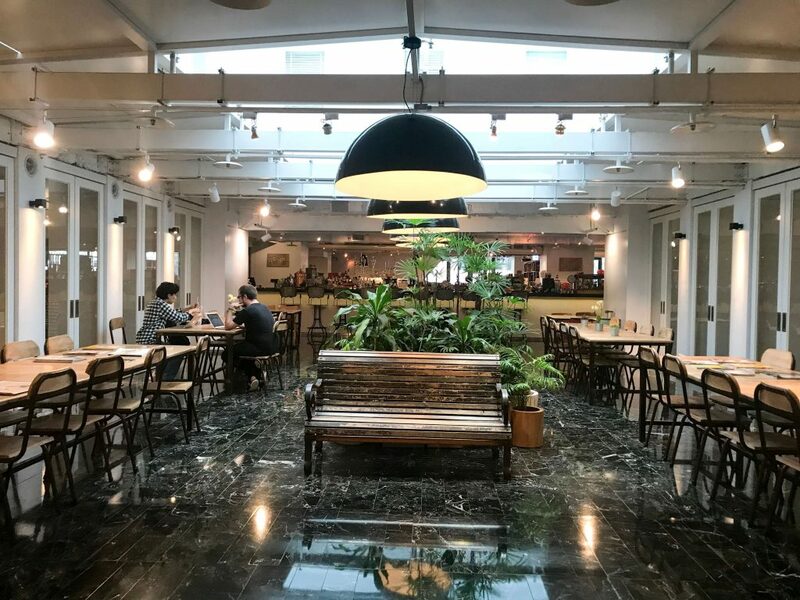 Apart from the cafes and restaurants within the old factory site, Songshan Cultural and Creative Park is a home to the Eslite Spectrum Songyan Store where you can find gourmet restaurants. Read more about the two creative parks through this link. Jiufen is located in the northeast of Taiwan. Here, we were able to play dress up by wearing a traditional Chinese dress, visited the Shengping Cinema that showcases the old entertainment establishment in Jiufen, and stroll around the narrow streets of the village which is believed to be the inspiration to the Japanese animated movie “Spirited Away.” Jiufen has their homegrown street food, Taro rice ball which comes usually with taro balls, sweet potato balls, red beans and green beans and can be served as a hot soup or as a cold dessert with shaved ice. 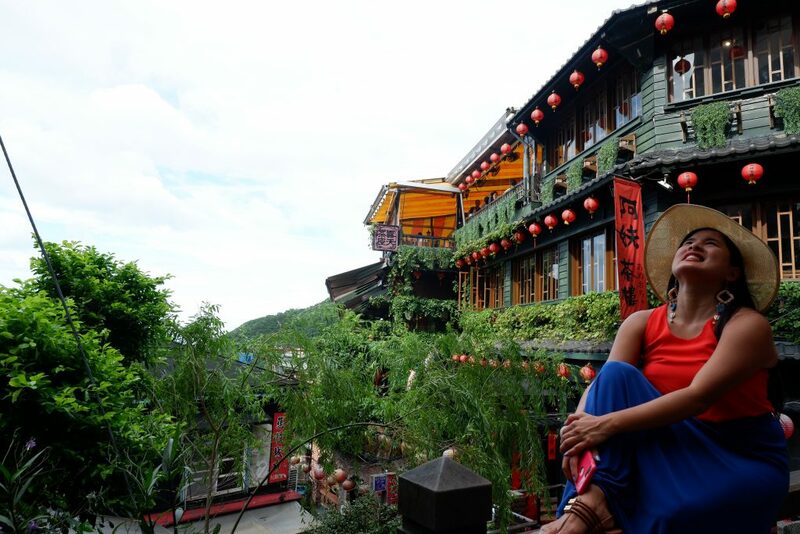 Jiufen also boasts several tea restaurants, with breathtaking coastal and mountain view, that keeps the tea culture of Taiwan alive. Also located in the northeast of Taiwan, Pingxi is best known for sky lantern activity right on the train tracks. 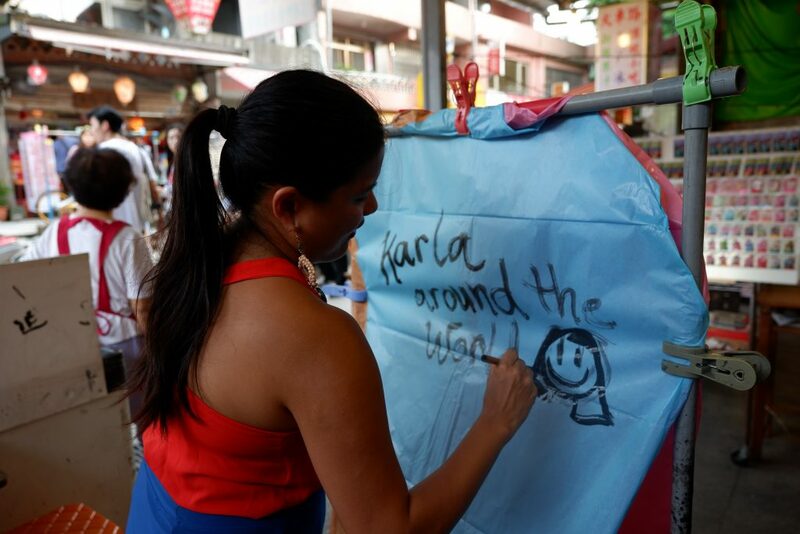 The activity may include making your own sky lantern, writing your wishes and releasing them into the sky. When it comes to food, Pingxi is known to have many food stalls selling sausages. The good quality meat can come with kimchi, parsley, ginger, garlic, mustard, wasabi and such. Taipei Night Markets are part of the history and culture of Taiwan. So, don’t miss to drop by at least on one of their night markets where you can find authentic Taiwanese staple food. Shilin Night Market is one of the largest night markets in Taiwan. Sprawling in its open area are a wide selection of merchandise stores selling clothing, accessories, gadgets, and home products. Aside from the food stalls on the open area, beneath the open-air complex of the Shilin Night Market are more merchandise stores and an over 500 food stalls. In this night market, Taiwanese staple food mingles with international cuisines. Raohe Street Night Market, on the other hand, is one of the oldest Street Night Markets in Taiwan. It is easily accessible by locals and tourists alike since it is conveniently located near the Songshan Station. There is only a limited variety of food unlike in Shilin Night Market. Batches of food stalls sell similar food. But, as a whole, the available street food already tell a lot about Taiwan. Read also Must Eats in Raohe Street Night Market. Aquatic Addiction Development is an upscale seafood market where you can hand-pick live seafood freshly taken out of a well-maintained aquarium and order to have them. Besides from the live seafood aquarium tank section and cooking service section, Aquatic Addiction Development features a health-conscious grill restaurant that uses non-cancerous materials, a hot pot restaurant that offers a nutritious seaweed soup base to accompany the fresh seafood. But, their most popular restaurant that people really line up for is their in-house Sushi bar. Other sections you can also see are seafood sushi bar, grocery market, flowers section and home products section. Some of the sections open early in the morning but almost all of its sections close by late midnight. I had no idea that Taiwan is just a couple of hours away from Philippines! Your post gave us ideas… like eventually planning a Philippines+Taiwan trip, especially if it’s so easy to get around! I met a lot of people from the UK there so I’m guessing not that hard. It was nice to walk around with a Quipao especially in a place like Jiufen. While I have been to Asia many times, I never traveled to Taiwan and your post makes it look very interesting. Night markets and hot spring experiences look quite great and very picturesque as well. Thank you for the leads. I read a few other posts on Taiwan recently and it seems like a lovely place. The tips you have mentioned are very useful for a first time visitor. The accommodations are also fabulous. This post as given me a lot of ideas as I do plan to visit Taiwan one day. 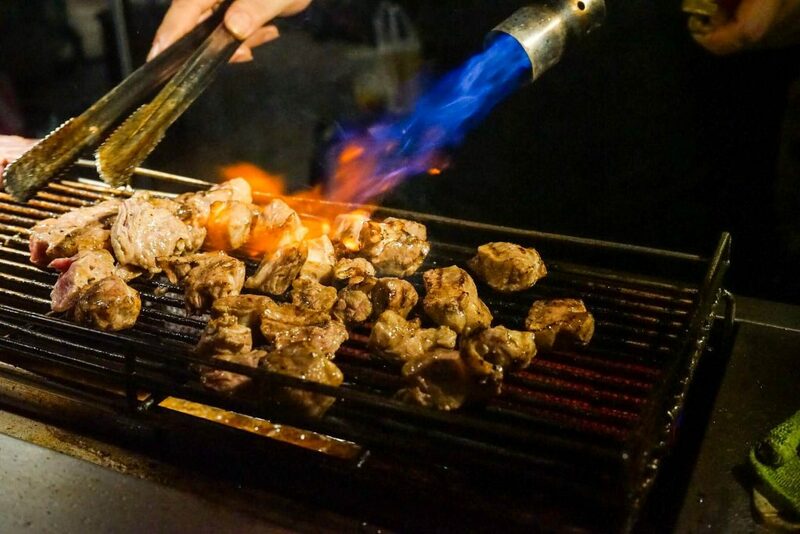 I really want to try some of that touched beef at the Raohe Street Night Market, that does look tasty. Taipei sounds like a fabulous place to visit. I’ve never heard of making a reservation at Starbucks before, but it must be a popular spot! I love street food, so I would definitely check out the night markets, they sound delicious! I guess cause the starbucks is in an iconic building? usually they pay to go to the viewdeck but starbucks has a good vantags point too. That’s their way of limiting the amount of people I guess. There is so many visa requirements, so great to have a guide for that! I haven’t been to Taiwan, but one of my childhood friends was from there. I’d love to visit the Huashan 1914 Creative Park, sounds like a really vibrant and interesting place. 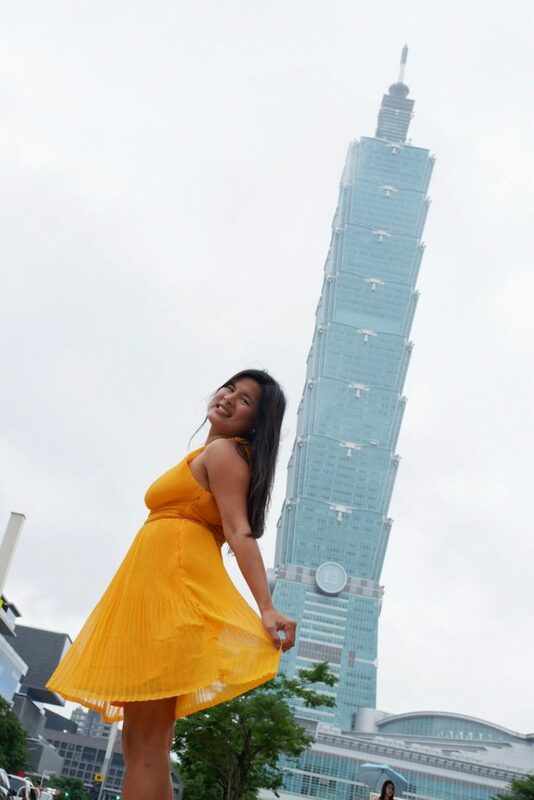 I’d love to visit the Taipei 101 building – such great architecture! I have a friend that lived in Taipei and her blog definitely made me want to go there to eat. Hopefully the seafood market you mention catches the seafood fresh daily and only keeps it in the aquarium for a short period. It’d be a shame not to have truly fresh seafood when you’re on an island! 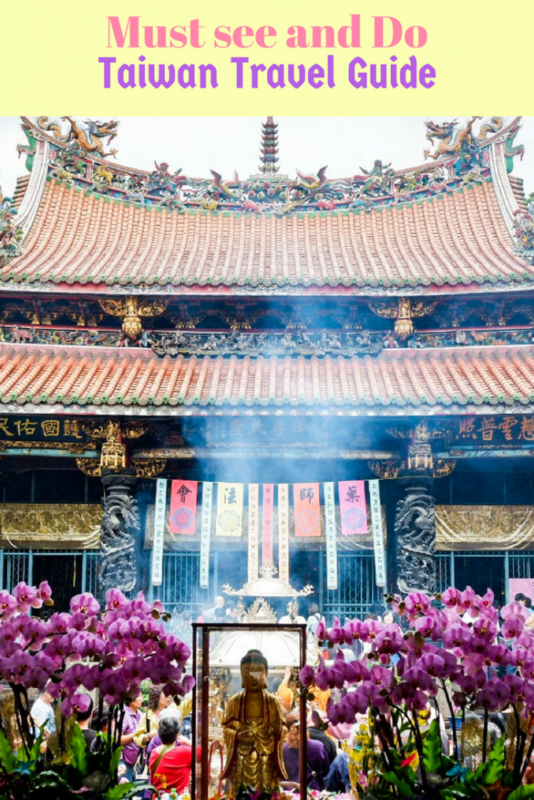 I’ve never been to this area of the world but now I’m really keen to visit, especially Taiwan – it looks like there is so much to do for first timers and much variety! The Raohe Street Night Market looks right up my street and staying in Ximending seems like a smart choice for entertainment. I used to have some friends living in Taiwan and they would often invite us to visit but we never made it and I regret that. Your pictures look lovely, I’d love to get to Taipei. Taiwan Night Markets would be the place I’d start as well, sounds like my kind of place! Taipei 101 Tower looks pretty interesting, although I am not really a fan of exploring skyscrapers (there are more than enough where I live in Dubai) and the Huashan Creative park sounds cool! I haven’t been to Taiwan yet, and I’m planning to get to Taiwan probably this year if time permits. This is truly timely, and I love how informative this post is. Your tips are very helpful, especially for someone who have not been to many countries. I would definitely include the Hualien County, East of Taiwan cause I find it serene and interesting. And of all the places you’ve mentioned to visit in Taiwan, I think the night market is where I’m really excited about because I love food a lot. Thank you so much for sharing these tips with us. Hi Karla may i know if hostel/backpacker lounge has their own luggage lockers?